Immerse yourself into full clear surround sounds, where luxurious therapy combines with an advanced marine grade stereo system. The bather’s luxury tub is now even more potent. 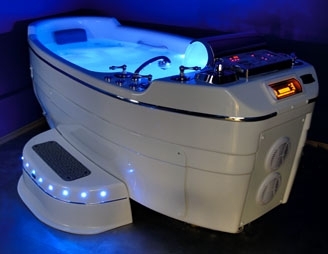 It is equipped with different types of jets, providing all kinds of underwater hydrotherapy treatments including deep-tissue massage of a whirlpool, various types of full-body air bubble/pearl-massage and their combinations. The perfect complement to its Jumbo Size is marine grade stereo system, integrated aromatherapy system, exclusive Fog/Tropical mist system, ozone system, chromotherapy/underwater lights system and many other striking features. 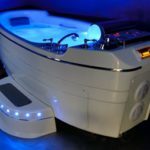 C-280 T Crystal Cove is an advanced hydrotherapy tub, manufactured through different departments with extra care and attention given to each bath as it goes through the process.